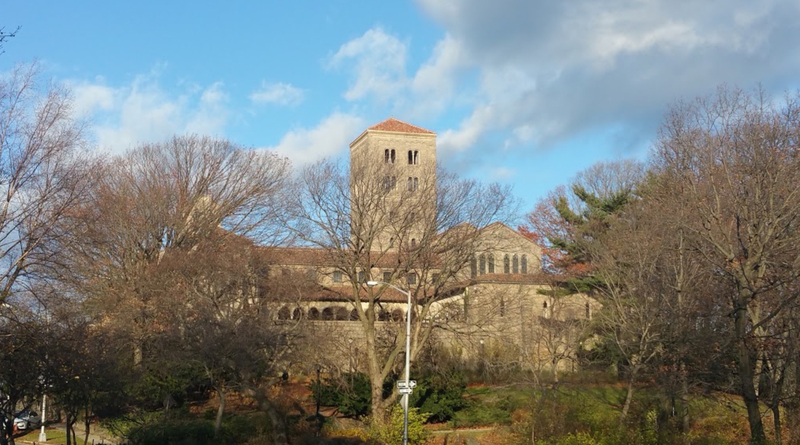 Recently my wife Dianne and I ventured forth on a bus trip to the Met Cloisters Museum overlooking the Hudson River in northwestern Manhattan. This museum, deriving its name from the medieval cloisters of Europe, is dedicated to the art, architecture, and gardens of the medieval world of western civilization. Of all the artifacts that evoked the spirit and culture of this historical period of western Europe, my attention was drawn to a large glass-enclosed display case surrounded by several equally captivated visitors with cameras focused closely upon a marvelous collection of gothic boxwood miniatures. Almost all of these minutely detailed carvings were religious objects of prayer devotion — most likely kept by nobility who treasured and preserved them well for they appeared to be almost in pristine condition. From the several descriptive cards, I learned that this was a unique specialized art form developed in the Netherlands of the 15th and 16th centuries. Boxwood was the hardwood of choice of these Northern Renaissance master craftsmen for it possessed a consistent fine grain ideal for wood carving. These extremely small carved wood spherical pieces (many were as small as 1-2 inches in diameter!) opened into two hinged halves –each with an extremely small carved wood miniature sculpture within. Others had additional hinged “wings” attached to the original opened halves –thus creating a multi-paneled set revealing sequentially-related “biblical scenes” such as the Nativity of Christ, the Crucifixion, and the Apocalypse. These “scenes” were formed by applying layers of highly intricate miniature wood pieces –often to a near microscopic level! Upon further research, I learned that at the high end of this specialized craft, especially miniature objects of this level of intricacy, took around thirty years to complete –a period equivalent to the entire career of a medieval master carver! I had never seen anything like this! I wondered how someone could create such a densely detailed masterpiece in such a small space? I considered –and appreciated– the time, the “learning curve”, the patience, and the perseverance required to produce such magnificent exquisite objects. I pondered what inspired and sustained these artisans to commit to such a pursuit? Why would someone dedicate their life in this way? The lingering impact of these images in my mind caused me to pause and reflect upon the material “creations” of man and those “life-giving” creations of God. Man has built some large imposing and memorable structures (The Great Pyramids, the Great Wall of China, and the like) as well as tiny powerful structures (the microchip, medical implants, and the like). On balance, however, man’s great “creations” –wonders both large and small– pale in comparison with the awesome and infinite creativity of God; there are creations of God that man cannot touch! God created the cosmos from the void; He spoke but the word “Let there be light!” –and it instantly existed. The Triune God said “Let us create man in our image” creating Adam from the dust of the earth and breathed life into his immortal soul. The very gift of life is exclusively in God’s creative power and domain; man cannot create life from inert matter –let alone from nothing! When man probes deep space, he discovers an expanding universe; when he delves into microscopic inner space, he uncovers previously hidden matter infinitely smaller than atoms. There is not a place in all of creation that exists apart from the hand of God. ( For an awe-inspiring experience of this scientific and biblical truth, view the nine-minute YouTube video “Powers of Ten”. ) As the psalmist declared, “You have set your glory above the heavens. …When I look at your heavens, the work of your fingers, the moon and the stars that you have established; what are human beings that you are mindful of them, mortals that you care for them? …O Lord, our Sovereign, how majestic is your name in all the earth! (Psalm 8) As small and seemingly inconspicuous as we are, we are nonetheless the pinnacle of God’s creation –and faithfully loved by Him! May I suggest that tomorrow morning when you face yourself in the mirror, say: “Behold! I am made in the image of God. My reason for existence is to give glory, praise, and honor to my creator God!” Observe how this attitude will affect your day –and change your life! Sometimes the most important things are the hardest to see, and the easiest to take advantage of. The fish story, popularized by author David Wallace Foster, reminds us that when we are so immersed in our own context, our own experiences, our own history and stories, we can miss the most obvious truth: there are others around us who don’t see what is important and worth paying attention to. Followers of Jesus would know what the spirit is, and specifically, have come to know the Holy Spirit of God who indwells every follower of Christ. Many of our fondest childhood memories and life’s most significant events have a direct, or at least an indirect, connection to the Spirit that we experience every day. We have years, even decades, of spiritual remembrances as we worship and listen to God’s word alone, or as we gather as a community of faith on Sundays. Our spiritual experience at Cold Spring Church a high-value weekly event. And why shouldn’t this be the case? Cold Spring Presbyterian Church has been nurturing spiritual life for more than three hundred years. 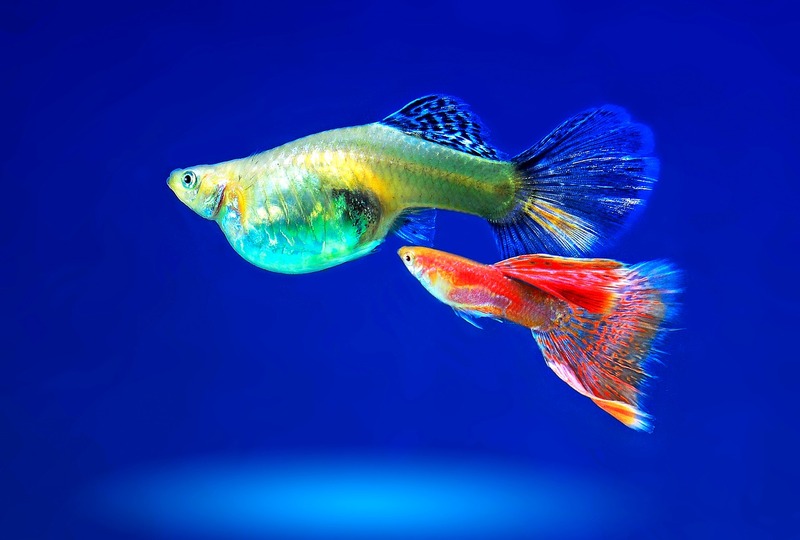 The older fish in the first story understood the value of water, just like the older person understood the value of the spirit in the second story. But in each story, younger ones have not yet recognized what the older ones plainly saw. This presents an incredible opportunity. In Acts 19, the apostle Paul met a group of people that did not understand the Spirit, either. They knew about Jesus, heard for example about the baptism of John, but didn’t experience the gift of the Holy Spirit. “That explains it,” said Paul. “John preached a baptism of radical life-change so that people would be ready to receive the One coming after him, who turned out to be Jesus… you’re ready now for the real thing, for Jesus” (Acts 19:4). Paul did not assume everyone knew what he knew. He saw an incredible opportunity to share the Spirit in ways people could understand. He demonstrated the love, joy, and hope that everyone deserves to know about. How we answer that question is being revealed by what we focus on, how we invest our resources, and what we measure in deterring our progress on God’s best path ahead. It’s not always easy to experiment with try new things, but I am delighted that we are actively making new community connections. So far, attendance and spiritual energy is increasing, and new people have been participating. We have incredible stories from the past to share, but we have also seized the possibility that more people, young and old, could nurture their spiritual life at Cold Spring Church. Like Paul said to that group who knew nothing of the Spirit until he told them, our neighbors are also ready for the real thing, for Jesus. How will we tell them? This Summer, nurture your own spiritual life in every way you can. If you’d like suggestions on how to do that, ask one of our leaders, or me. We are ready to serve you. As you are able, volunteer to help at our events. Maybe you will invite a friend to attend with you, or simply start a new conversation with a neighbor. Be a welcoming friend. Have you heard young people and families asking, “What Spirit?”. I have. And I also know that Cold Spring Church can be that welcoming place to bring their spiritual possibilities to life this Summer.